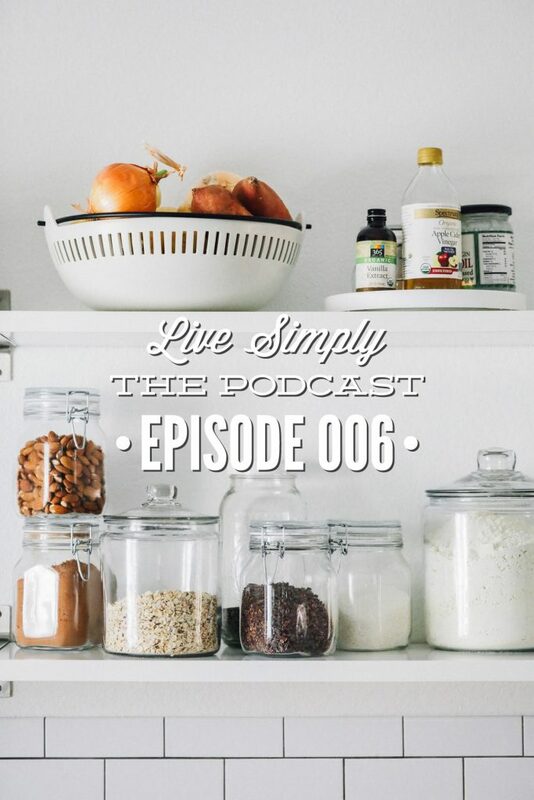 If you’re feeling slightly overwhelmed by the idea of switching from processed food to a real food lifestyle, today’s episode is for you. You’re not alone in feeling this way. I once felt the very same way. Today, I want to help you simplify this process by sharing simple steps you can start taking right now. First, before we talk about practical steps, I want to say thank you so much! Thank you for subscribing to the podcast, and joining me for another episode. 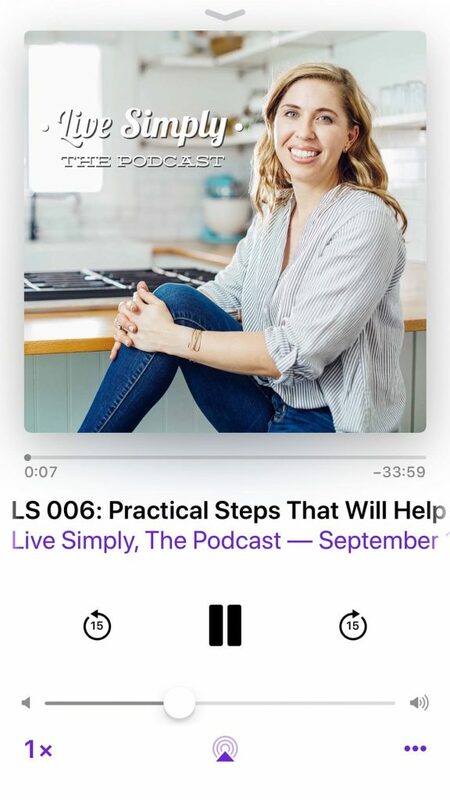 Last week was the official launch of Live Simply, The Podcast. Your response to the launch has been so incredible–thank you for messaging me, sharing the podcast with your friends and family, and leaving a review on iTunes. We’re talking a lot about food during these first few podcasts. Food is where many people begin their natural wellness journey. If you’ve been on a real food journey for a number of years now, some of these episodes may be more review for you. I would encourage you, share these episodes with family and friends. 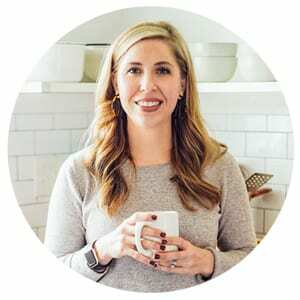 If you’re just getting started with a real food lifestyle, or you’re struggling with feeling overwhelmed on this journey, I hope these episodes are a source of encouragement and practical guidance. Before recording today’s episode, I thought back to my own wellness journey and asked myself, “How exactly did my family make the transition from a lifestyle of overly processed and drive-thru “food” to one of real food? What small steps did we take that made the greatest impact on our journey so far? As you heard in Episode 2, we didn’t start out purchasing pastured meat from a farm or shopping at a farmer’s market, or making homemade meals. We started with what we knew: shopping at Publix, the grocery store down the street from our apartment, and my limited cooking knowledge and skills. We knew one thing: what we had been eating wasn’t what we wanted our future to look like, so we took small steps to replace the processed food. Looking back I didn’t know we were taking these steps, but now, I can see that each step got us closer to where we are today. These small steps didn’t seem significant at the time, but they have certainly added up over the years to long-term lifestyle changes. Many of these steps took months and years to navigate; they certainly didn’t take place overnight. 1. Change your mindset about food. When it comes to food, many of us have been influenced by marketing, food packages, food company slogans and commercials. Before we make any physical changes to what we purchase or how we eat, we must first change our mindset. This was the greatest struggle I faced when first thinking about a real food lifestyle. Still, to do this day, I find it’s so easy for negative mindsets–based on past influences from marketing–to creep into my head. Stop looking at food negatively with a fear mindset. Food is about more than just fat and calories. And remember, fat and calories are good for you–they are vital and essential. Also, stop thinking: Ugh, I have to cook. Start thinking: I get to cook, I get to nourish my family and care for myself. 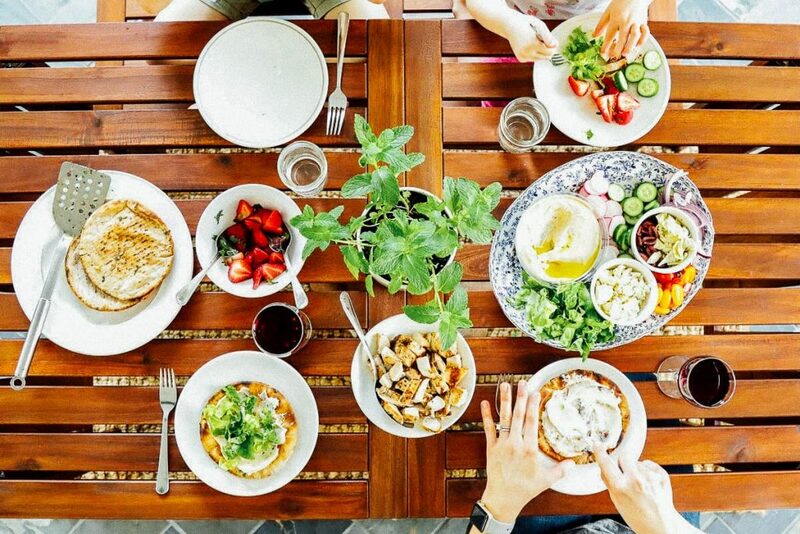 Start thinking about food in a positive light: food is nourishment, food is a celebration, food is delicious, food is fuel and makes me feel good. I recommend going back after this podcast and listening to episode 3. In that episode, I share what exactly real food is, what it is not, and what real food looks like. 2. Focus on making changes to one meal at a time versus focusing on everything you eat. Focus on making over one meal at at time versus tackling all meals. Maybe this is breakfast or dinner, or lunch. Focus on preparing one or two of real food breakfasts in a week. Weekends tend to be easier for our family, since they’re less hectic. So based on this, I would focus on preparing a homemade breakfast on Saturday or Sunday. This will give you time to learn how to cook a homemade breakfast. And for some foods, you may find that you have leftovers–like pancakes, waffles, muffins, granola, or hard boiled. The leftovers can roll over to another breakfast on a different day. During this time see what your family loves and responds to–keep notes of this. Slowly, when you feel ready, add an additional day where you serve real food versus relying on a box of Pop Tarts. Slowly build up your real food cooking muscles. Here’s the thing. In the beginning, everything is hard. When I first started working out and doing push-ups I could only do one. I wanted to do fifty. Slowly, over time, I’ve worked my way up to five, then ten, and now I can do fifty pushups. Transitioning away from relying on boxes and packages for every meal is the same way. You won’t start out eating real food for three meals a day, seven days a week. Just thinking that way feels exhausting. But one meal a week, now that’s doable. And slowly build on that success. Your palate will also change during this time. And your family won’t feel like you’re taking all your former processed food away at once–which generally makes the transition smoother. Remember this is a journey–it’s about a long-term lifestyle. Focus on the small step you can make right now! 3. Focus on learning to cook, particularly basic recipes you can rely on over and over again. As we talked about in episode 3, real food is about taking responsibility for our food, and learning how to prepare food so we can nourish our bodies with simple ingredients. You can’t enjoy a real food lifestyle without learning how to cook. In fact, learning to cook is the very foundation real food is built on. Both simple ingredients and learning to cook go hand and hand to create a real food lifestyle. People say, “I don’t have time to cook.” But we all find time for what matters most to us. If nourishing our family is important, we will find the time. This doesn’t mean you need to spend all day in the kitchen. Food prep, doubling recipes, etc. Now, as I mentioned in episode 3, there is a rise in real food companies who are making convenient options that are made with real ingredients. This is a blessing and curse. I believe the majority of our diet should come from home-cooked foods, made with simple ingredients. 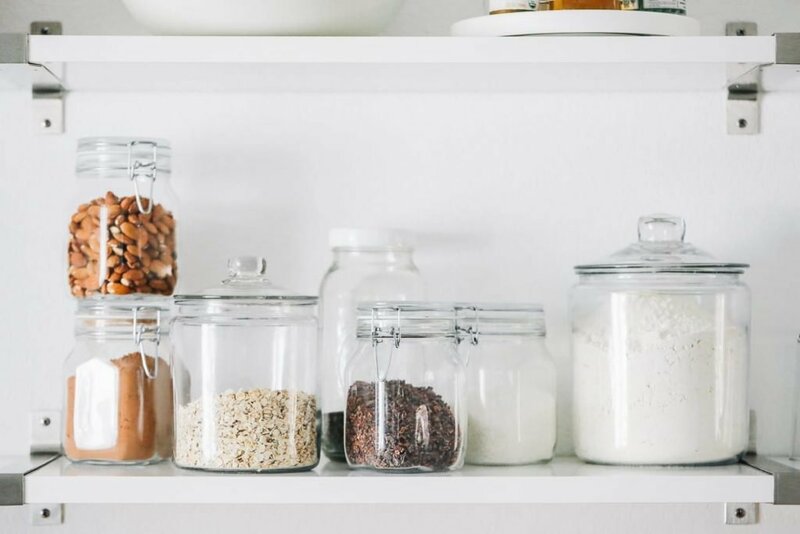 These real food convenience options are amazing and can be sprinkled in to help us simplify and reduce overall cook and prep times, when needed. But we shouldn’t exchange processed food for more boxes and packages, just because we can. While individual and very unique recipes are great, I recommend focusing on basic recipes that you can rely on over and over again. And as you think about these basic recipes, think about the food your family currently loves. 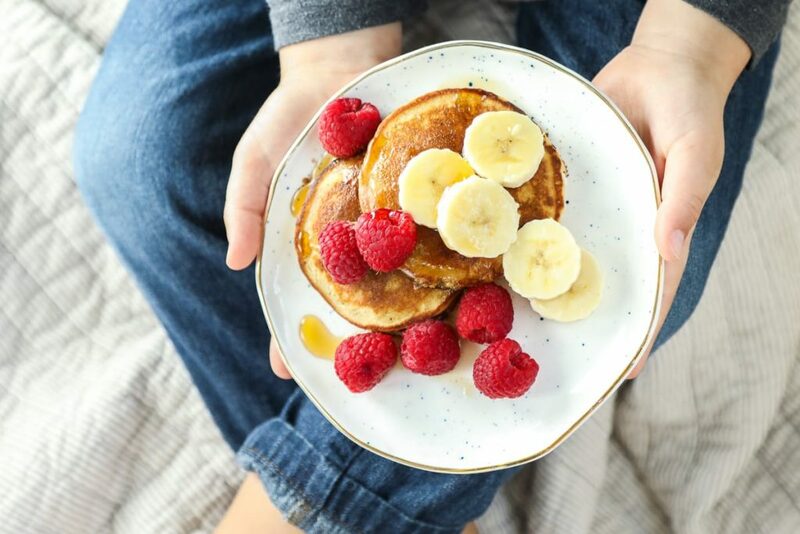 Does your family love pancakes? Focus on finding an amazing pancake recipe you can use every single week. Master that and then focus on a good muffin recipe. And then a great salad dressing or how to cook a whole chicken or burgers or how to roast veggies. As I mentioned before, build your muscles in the kitchen and slowly build a list of recipes you can confidently cook, rotate, and your family loves. Now, to do this, you’re going to need to gather real food recipes: keep a list of recipes you find that are made with real, simple ingredients. Avoid recipes calling for things like: canned biscuits, condensed creamed soups, or anything that isn’t a single ingredient or a condiment (like mustard) that is made with single, recognizable ingredients you would use in your own kitchen. Keep a list of your favorite recipes, and your family’s favorite recipes. You don’t need to know how to cook a million different dishes, or have 30 cookbooks or 100’s of recipe at your disposal. 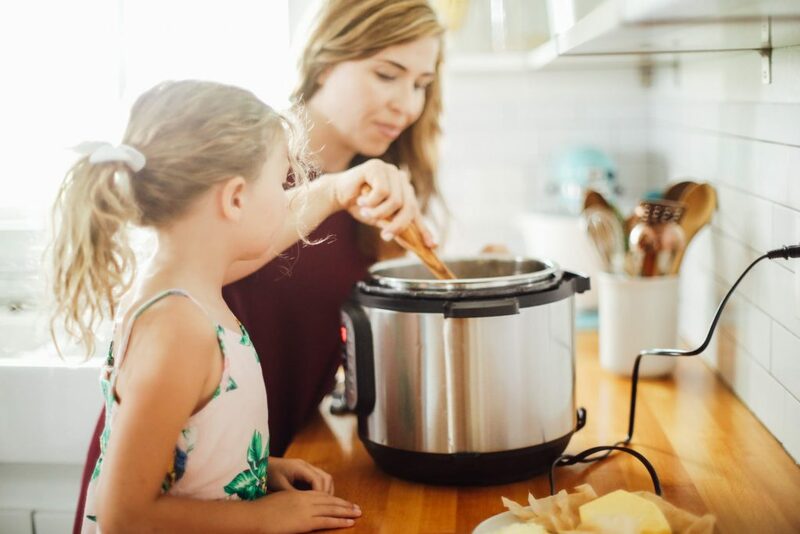 As you learn to cook, and slowly build up your real food muscles, take note of the recipes your family loves and the recipes you love cooking. Keep this list somewhere safe so you can refer back to this list. Or, keep a Pinterest board, or a note in your Notes app on your phone. 4. Shop the outer aisles of the grocery store. The outer aisles of the grocery store, whether you’re shopping at a conventional grocery store or Whole Foods, is where the bulk of your food should slowly should begin to come from–you’ll find this a natural transition as the recipes you’re beginning to try will/should keep you in these aisles. Remember, this is a journey–this will be a slow transition. One that may feel scary at first, but you’ll build those muscles and soon you’ll find those outer aisles are your go-to source for food. Now, the inner aisles aren’t evil, they also have real ingredients: oats, flour, barley, beans, rice, canned tomatoes, frozen fruits and veggies. In the beginning, I wouldn’t even worry about organic, or pastured meat or eggs. If you can find this stuff right now, great, make the switch to the pastured eggs or the grass-fed meat. Many stores are now carrying these options. I didn’t start out purchasing these options. I started purchasing meat that wasn’t pastured or grass-fed. It took years, of sourcing and figuring out a grocery budget, to get to that point. My point is don’t feel like you’re not doing a good job, or you’re not doing enough, just because you’re not purchasing a certain kind of meat or organic veggies. This all comes with time. In the beginning, focus on ingredients and learning to cook versus packaged, boxed, overly-processed food. Slowly, you’ll start finding sources for pastured meats and eggs. 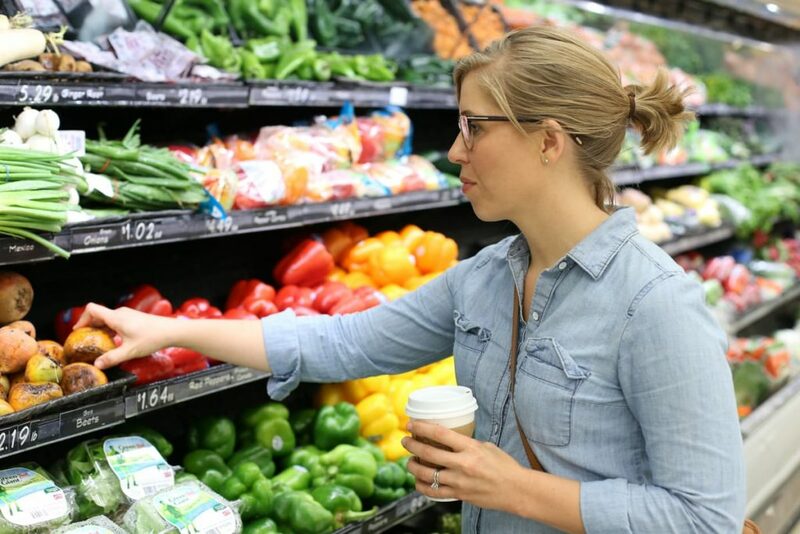 As you continue on your journey, and you’re cooking and preparing more meals, you may find that shopping at the same conventional grocery store for real food ingredients can be limiting and expensive. That was my experience. Of course, this will depend on your area and your store selections. Health/Natural Food Store: Small, locally-owned stores or Whole Foods (yes, can be expensive, but not always compared to conventional stores). These stores specialize in real ingredients foods. Also, health food store variations: Earth Fare, Sprouts, Trader Joe’s. Farmer’s Market/Produce Stand: Fruits, veggies, nuts, seeds, sometimes local foods. Our local produce stand sell local goodies made by food vendors in the area. Local Food Co-op: Google, ask around at a health food store, or FB example: A gal who works with me said the other day, “I’m going to stop on my way to pick up my son and get our raw milk.” What?! I had no idea she knew of a source for raw milk in our area. Amazon and Vitacost: Vitacost is amazing! 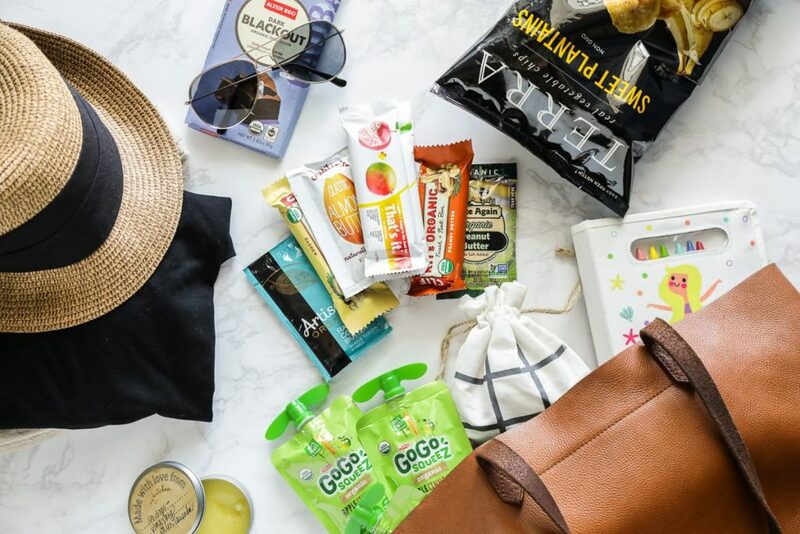 Free shipping over $49–pasta, canned tomatoes, cleaner snack bars and chips, etc. Befriend a Farmer: Visit a farmer’s market–get to know the face and name behind food. These connections many times lead to other connections for food. Also, many times this food is cheaper because you’re cutting out the middleman and you’re buying in season. 5. Clean out and replenish. Slowly, as you’re cooking, build up the real food ingredients needed to make your favorite meals. 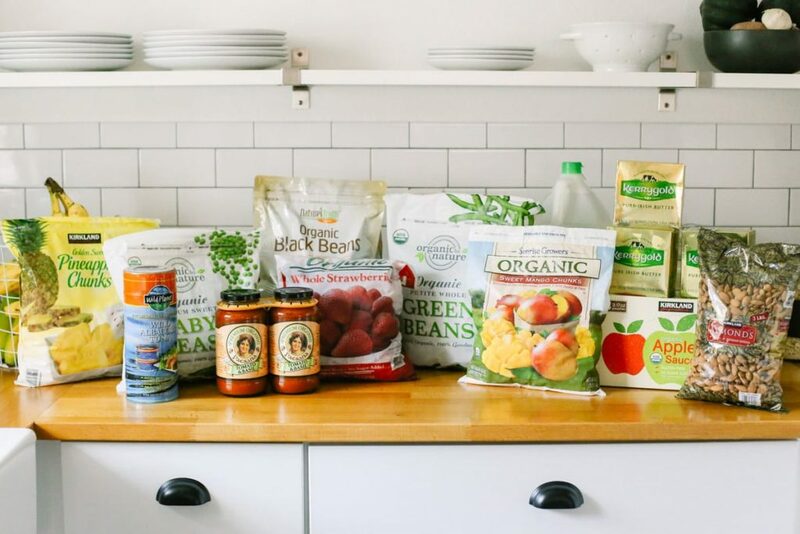 You’ll probably already have been buying these ingredients. This will be a natural transition as you learn to cook, start building your real food muscles in the kitchen, and start relying more on those favorite recipes you’re keeping. 6. Find real food alternatives for the processed food your family loves and just can’t ditch.